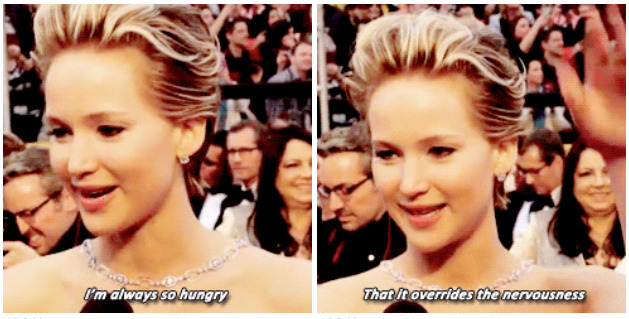 Jennifer Lawrence has become somewhat of an icon lately. Despite her celebrity status brought about by the huge success of The Hunger Games films, many see her as a role model to regular people, as opposed to an overly-entitled bundle of ego. While some celebrities may act a little high and mighty, flashing their wealth and power all about town, Jennifer shows us that some famous people are just trying to live a fun and happy life. 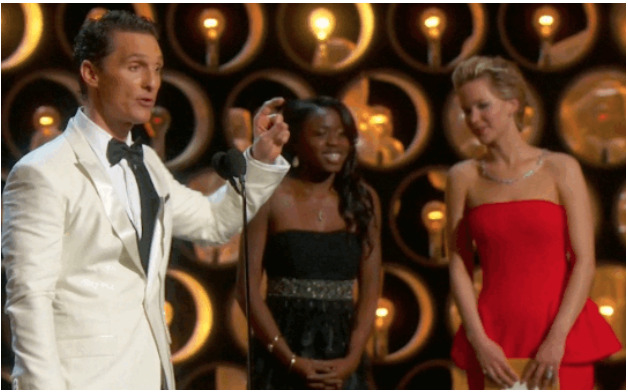 When she attended the Oscars alongside the upper echelons of Hollywood, she became an internet sensation with her down-to-earth attitude and antics. 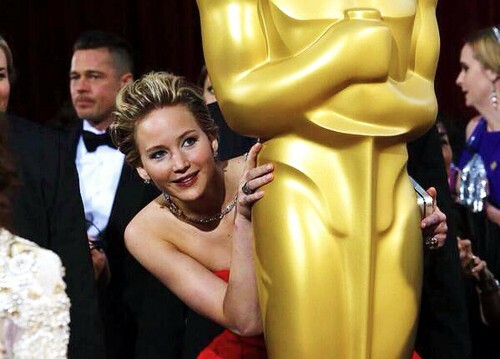 Check out these 19 moments from the award ceremony that will make you fall in love with Jennifer all over again. Even with the cameras rolling and the interviewer stood right there, Jennifer doesn’t mind contorting her face when she hears something a bit gross. She seems like such a friendly and caring person. 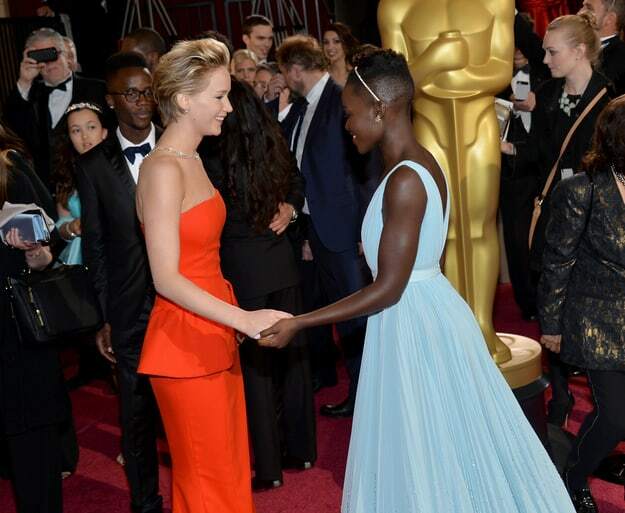 Here she is throwing her welcoming arms around the 12 Years A Slave actress. In fact, Jennifer looks like the kind of person you could easily become friends with, as we can see in this second red carpet moment. Despite Cate Blanchett being a bit of an acting veteran, her and Jennifer look as though they’ve been close friends for many years. Now this is just adorable. Jennifer really does look like she doesn’t want her and Cate to part ways. 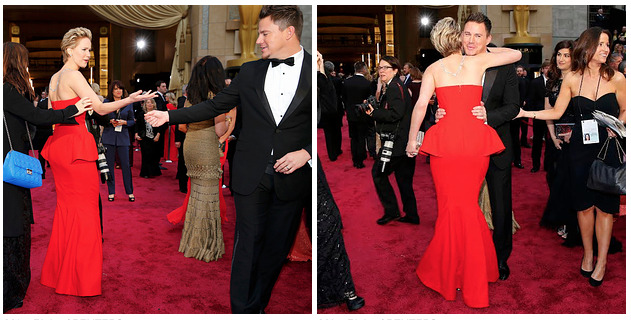 Look how Cate is holding her hand out to her. Actually, she seems quite eager to embrace just about anyone. 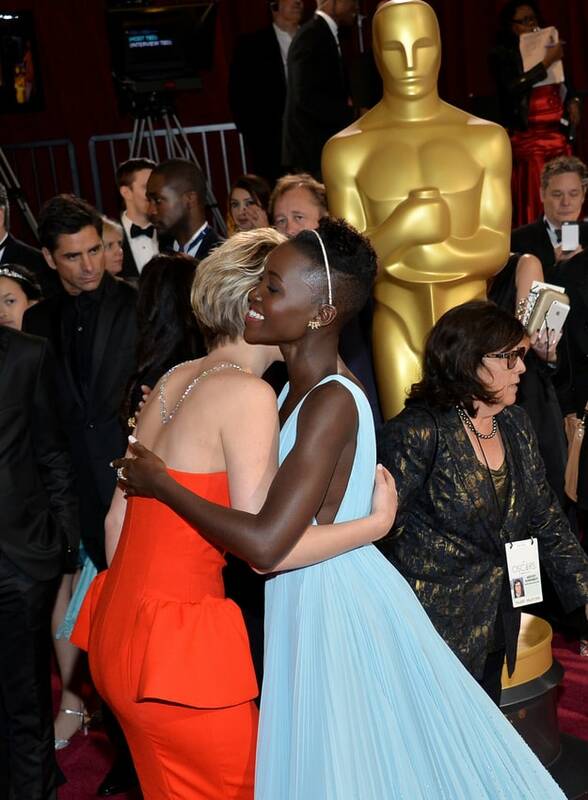 No one is immune to Jennifer Lawrence’s inviting hugs. She’s always up for a bit of fun. Here she is wowing the interviewer with this little shake of hers. This kind of shows her naughty side. 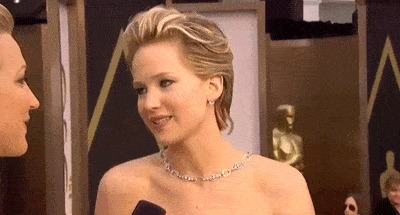 When most celebrities would be standing attentively during someone’s speech, Jennifer seems more interested in talking to the person next to her. 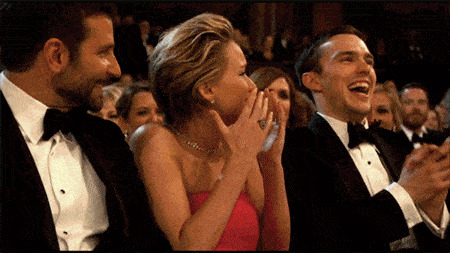 And when it’s her turn to talk, she wastes no time in scorning someone on the front row. She’s allowed to laugh though. You can actually see the moment in Nicholas’ eyes when he falls in love with her. 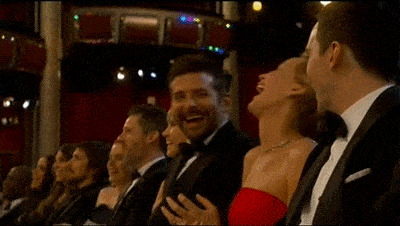 While she appears to be sharing a laugh with the star of The Hangover, she may also be gushing over being seated next to the Sexiest Man Alive (2011). From laughter to embarrassment. 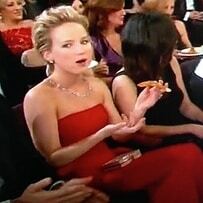 Jennifer obviously has an array of emotions on and off camera. But what is she embarrassed about? 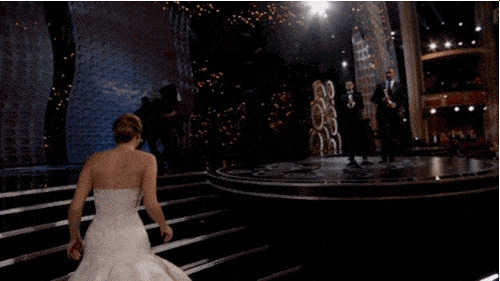 Ellen DeGeneres reminded her of her trip at last year’s Academy Awards as she was ascending the stairs in her white gown. Nearly falling over on the red carpet. 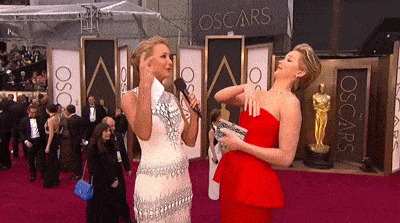 Oh Jennifer, you are a clumsy one. Not once, not twice, but three times she’s been caught stumbling to the ground. 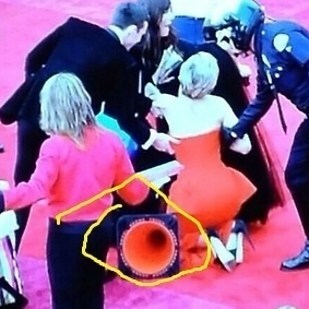 This time she can at least blame the oddly-placed traffic cone. Not many celebrities would admit to their foibles and imperfections. Jennifer pulls no punches in regaling us with how she has actually practised walking up some stairs. When she’s not hugging other celebrities, she’s batting insects away from her face. She even makes that look adorable. 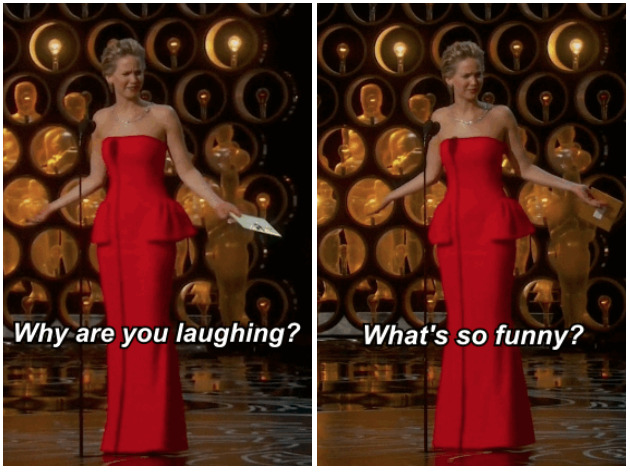 Jennifer Lawrence is the kind of person who we imagine would make any award show fun. This could be a staged photo, but who cares right? 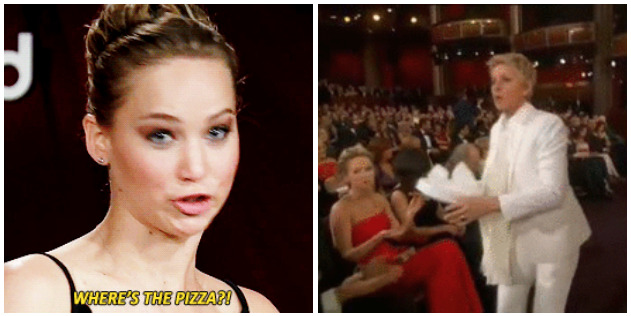 Yep, Ellen DeGeneres actually delivered a pizza to Jennifer Lawrence at the freakin’ Oscars. And she actually ate it as well. Not the most flattering of Oscar photos, but she doesn’t seem to care one bit, which we can all understand. Pizza time is a priority at any given moment. 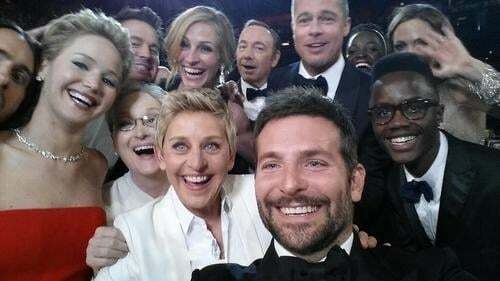 She took part in what has now become one of the most famous selfies ever taken. As of writing, this image has been retweeted more than two million times!